This Suna knife from Olamic Cutlery is an exceptional handmade fixed blade. The Damascus blade is made using high carbon vanadium steel with 300-350 layers in a mosaic pattern. The tang is stamped 0577 on the back side, which is the unique knife number. The handle is a single piece of carbon fiber that has been contoured and features a roped ridge pattern. The pommel cap is Damascus and the handle is fitted with G10 and aluminum spacers. 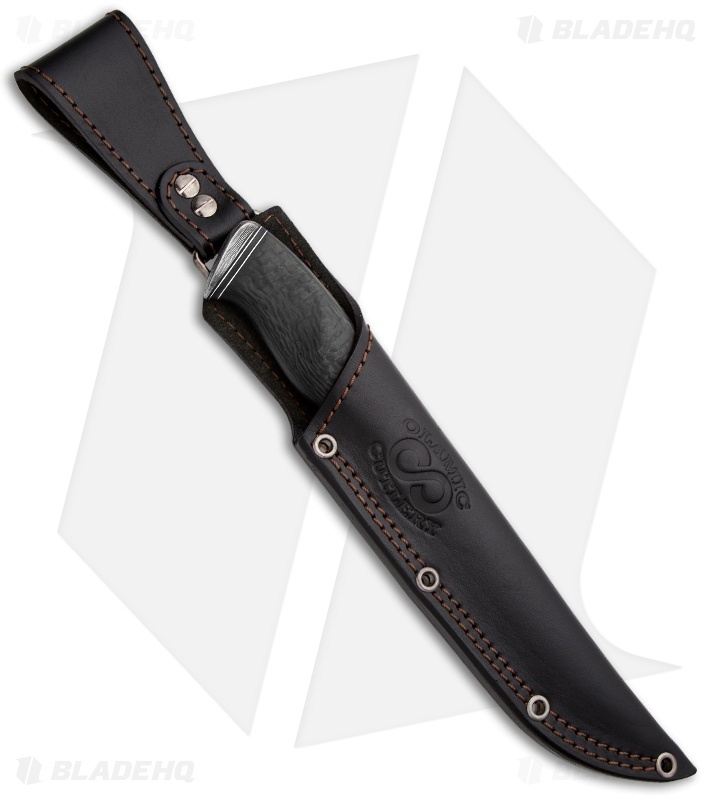 The Suna fixed blade comes with a premium leather sheath with belt loop.